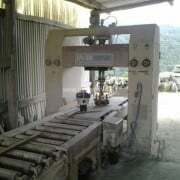 Here you can find a list of used available flaming machines/bush hammers for marble, granite, natural stone or cement. 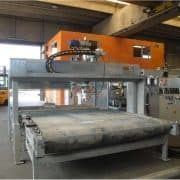 Flaming machines are used to uneven the surface of a granite slab, making it rough and antislip, the slab makes contact with the flame of a blowtorch which makes it rough. 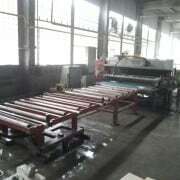 Flaming machines are used for the production of floors, stairs and shower trays. Another way of making the surface of a slab uneven and rough is bush hammering. 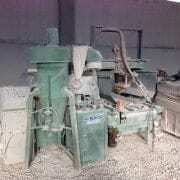 Some machines have both the functionalities of flaming and bush hammering: flaming/bush hammering machines. Bush hammering consists in roughing and making the surface uneven via the use of Widia hard metal tools. Bush hammers are automatic machines which quickly execute this kind of work. Sidewalks are usually made with bush hammered stone. 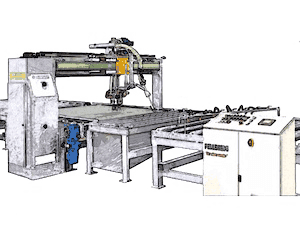 These machines usually come from bankruptcies or companies who need to update their production line. 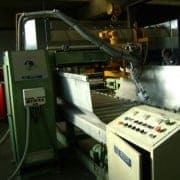 So It can be easy to find good machine for a cheap price. 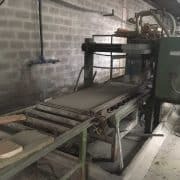 Used ; Working hours: 280; Useful width: 220cm. 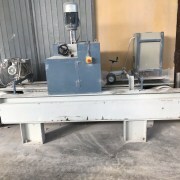 Single-head bush-hammering machine S.P.I. – G.M.